#10 on my list takes the number tenth spot because it was really unique and I thought it would be terrible and I was so glad I was wrong. Its action packed, funny, got a great voice cast, and the story is quite touching, very much to my surprise. The visuals in this are great, I really thought the mix of Stop-motion and CGI was very impressive; I was often unable to see the difference in the film. The characters are either really funny or are great character parodies. #9 on my list was a sequel to a previous list entry that I was genuinely worried about but they pulled it off again and it had some of the funniest scenes of 2014. It’s really funny, easily on par with the first and the cast work perfectly with each other. It’s hard to pin point why these two films just work so well but this comedy sequel works because it is so ridiculously self-aware, there near a million references to the fact that this is a sequel. #8 is a late entry to my list but just as worthy. I had a ridiculously good time watching this, its creepy, thrilling, the music is great and the action is spectacular for such a small film. 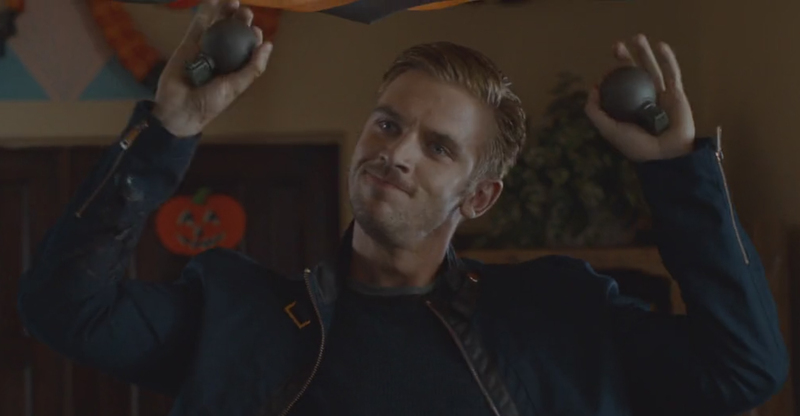 Adam Wingard the director of this film is definitely on a roll. I am two for two on his films. You’re Next and now this little gem. I will be looking out for your future films. #7 on my list is a film I have been eagerly waiting for since its first film and this went bigger and in my opinion better. 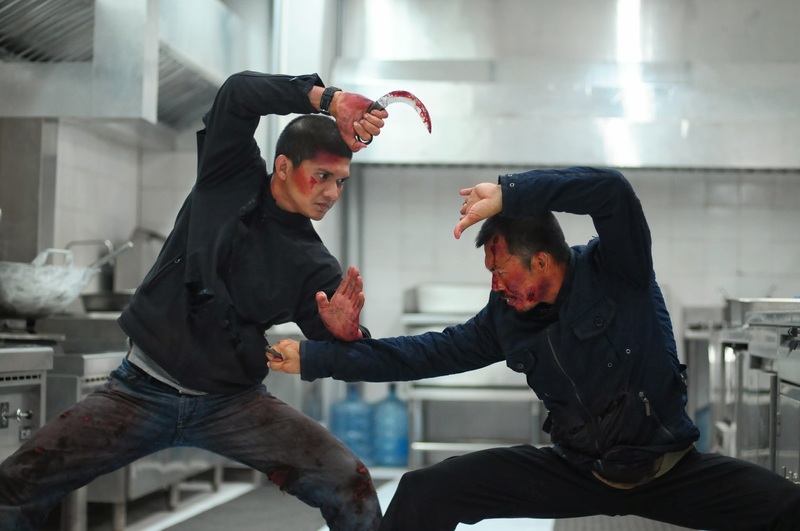 The Raid 2 is just excellent, not only a great action martial arts film but a really well made gangster movie. The story was really clever and expanded a lot from the first film, we go right into the underground of the city and into the two crime families who run it. The visuals and choreography are masterful! We have car chases, great martial arts battles, big gun fights and all for under $5M. #6 on my list wasn’t even on my radar really, I was convinced based on the trailers and promotion that it would be the biggest lame duck in 2014. 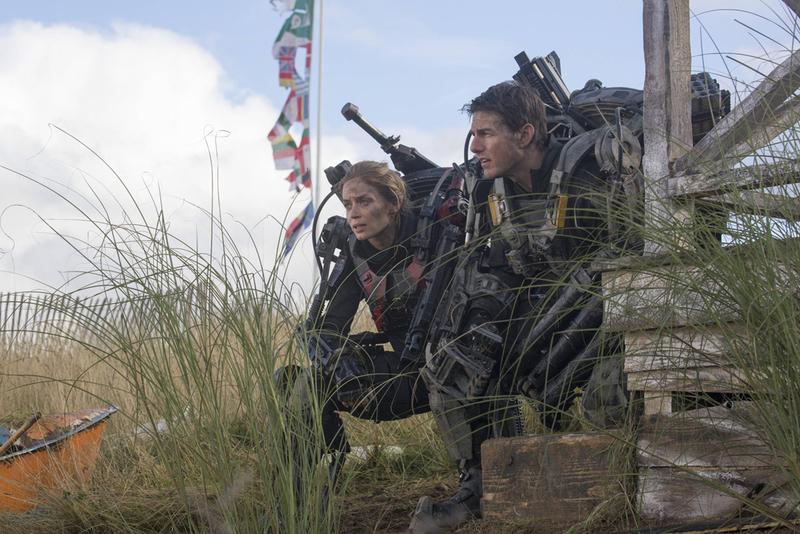 Edge of Tomorrow is believe it or not an original, funny and great science fiction film. The acting is solid, the script plays with the plot brilliantly, you like and route for the characters, the action is fast paced and visuals are almost flawless. #5 is one of the best superhero films I’ve seen full stop, a definite improvement over Cap 1 and one of two stellar superhero films released by Marvel. This was a really well made film and I have very few to no complaints however taking on a spy thriller means it will get compared to a higher class of films. 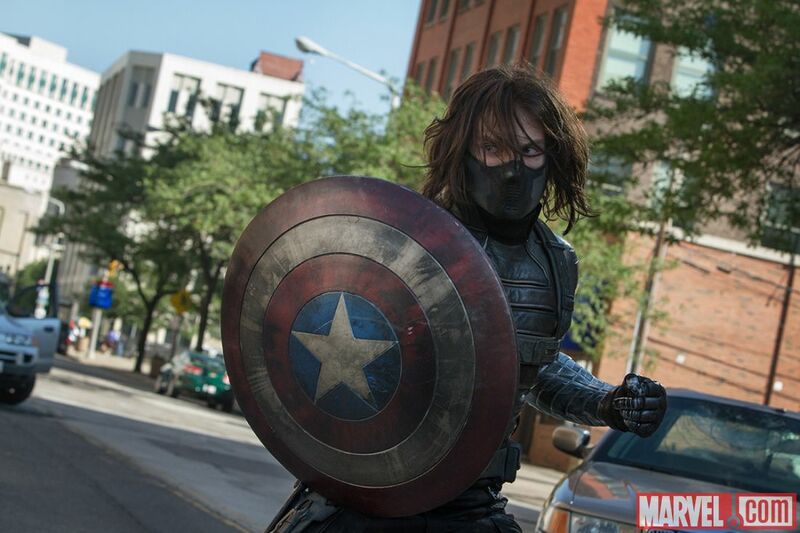 The new Directors (Anthony Russo & Joe Russo) have done a wonderful job of creating a sequel, blending past events naturally with the current story and just making it work. #4 is maybe not everyone’s cup of tea but it was mine. 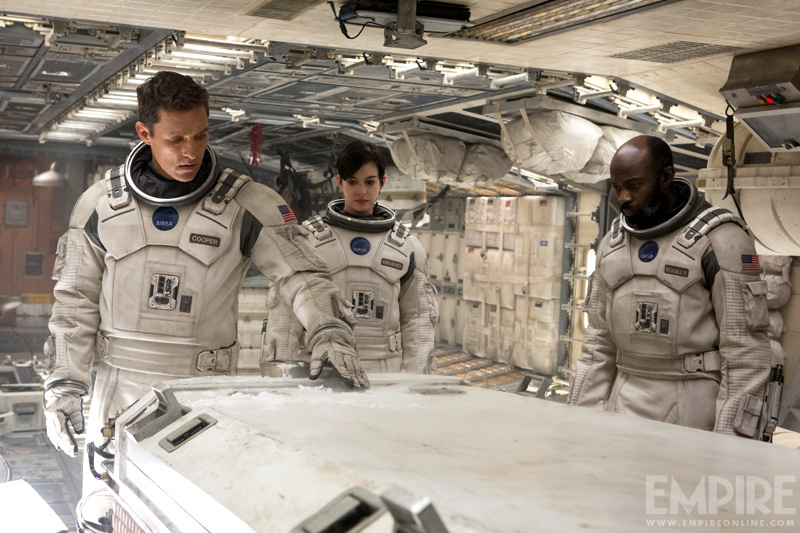 I really liked this film, probably my favourite science fiction film in years. 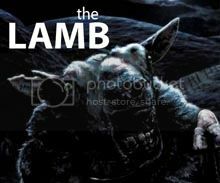 The concept was dark but surprisingly humanist from a director like Nolan. The visuals are great, the split between practical effects and CGI are really well done, and IMAX is a must. #4 is the best superhero film of the year. 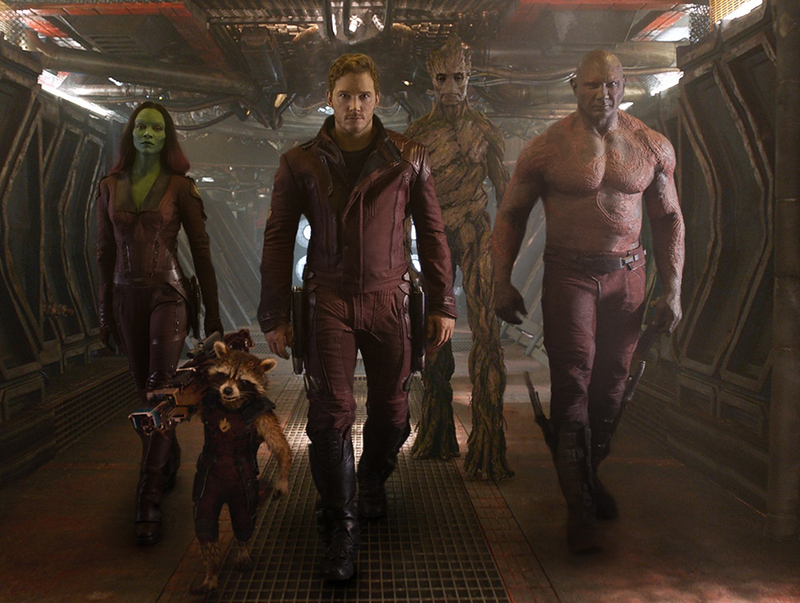 Easily one of the best superhero films done by Marvel, and the start of Chris Pratt’s mega success. Easily the funniest superhero film ever made but not in a really cheesy way like Thor 2, it was genuinely funny, it was a James Gunn film through and through. The visuals are great, the split between practical effects and CGI are really well done, and the sheer amount of aliens created visually in the film brings you back to star wars. #9 I took my time seeing but am really glad I watched. This was fun, I really like watching Wes Anderson films because they take you to another world. It’s a fantastically quirky story about the hotels devoted concierge and his young apprentice lobby boy. 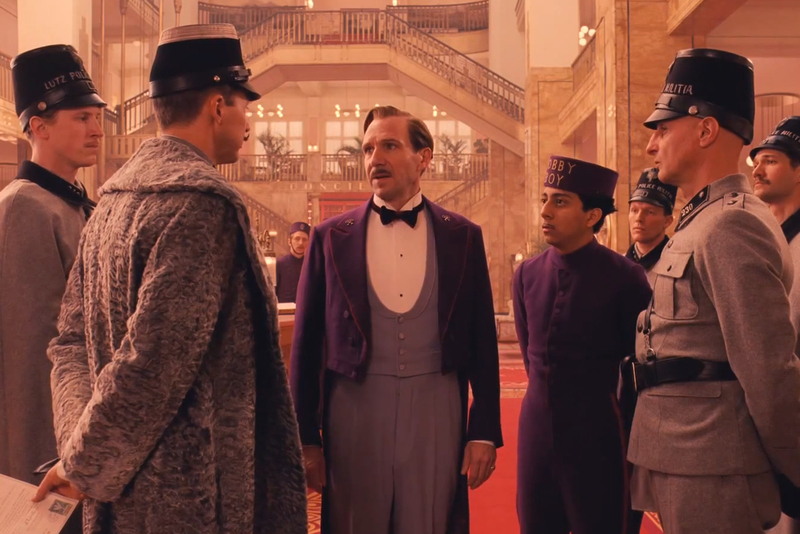 The film is really fun and the all-star cast is stellar especially Ralph Fiennes, well done that man. #1 is the best film of the year. It was technically great, written great, and even brought the action. Never thought Apes of horses would be my favourite film of the year but that’s where we are, got to love the movies! 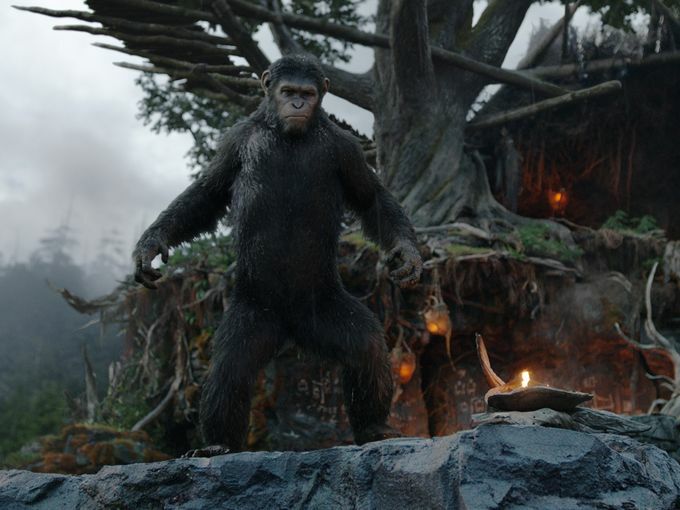 The acting is solid, the script plays with the plot brilliantly, you like and route for the characters both ape and human, the action is fast paced and visuals are unbelievable, those apes are 100% CGI. What really sets this film apart from the majority of films is the unrelentingly serious nature they apply to the material. The story explores so many aspects to human nature that its just fascinating to think about. Honourable Mentions: Snowpiercer, Big Hero 6, Nightcrawler, etc. If X-Men: DOFP had made your Top 10, you would’ve included every Oscar nominee for Best Visual Effects this year. I like your list because it’s so unexpected. I haven’t seen any quite like it. I love your list. We share many of the same. What a great year for animation, independent movies and superhero movies. Thank you very much. Glad we agree. It was a good year. Think I missed any? I loved Boyhood. That was my favorite of the year and I also thought American Sniper and Whiplash were pretty good. I did a top 10 in December but am going to do another bc I have seen all ths Oscar movies now. Dawn of the Apes (soooo much better title, no?) is without question the best tentpole blockbuster of the bunch. I think we have our new TDK-reboot franchise, folks….